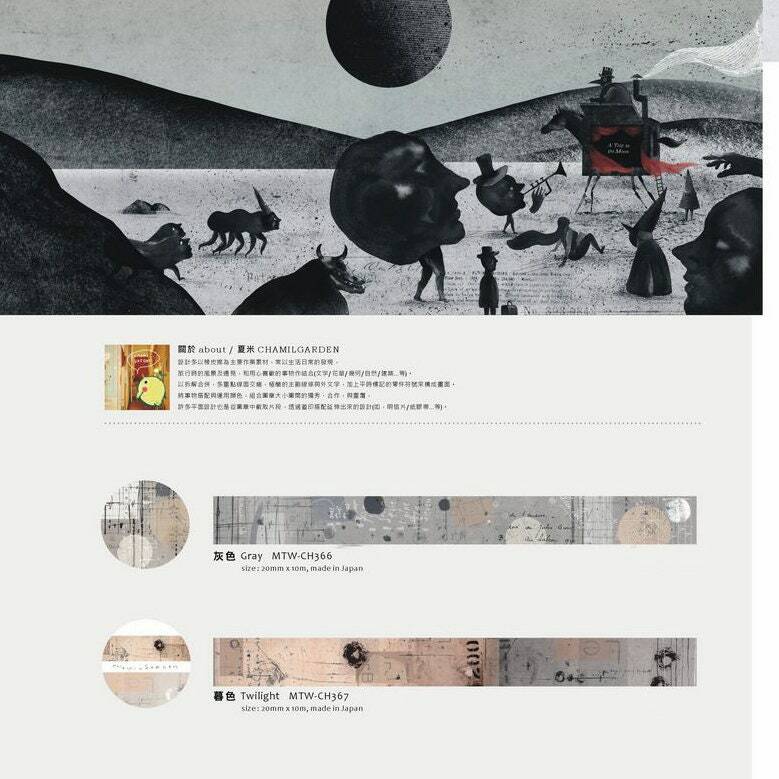 Chamil Garden 2019 Kaohsiung Film Festival Washi Tapes - PRE ORDER - delivery is estimated for May (will be reconfirmed shortly). These are much anticipated washi tapes from artist Chamil Garden commemorating the 2019 Kaohsiung Film Festival. There are two different tapes: Gray and Twilight. These designs work beautifully for many applications such as letter mail art, journaling, scrapbooking and repurposing old items that need a new look. Please also note that if this item is purchased with other in stock items, the full order will not ship until the pre order item is also ready to ship. If you would prefer to receive your in stock items now, kindly place a separate order for them.